Hello Dosto Namaskar Aaj ke Ish Article me Mai Apko Bataunga ki Facebook Business Page Kaise banate hai(How To Create Facebook Business Page), Dosto Kisi Bhi Business,Company,Product,Website Etc. ko Promote karne me Social Site ka Bahut Hi Important Role hota hai.Agar Social Networking Site Fb ki baat karey to Duniya me Sabse Jyada Use Hone wali social Site Facebook hi hai.Agar Aap Online Business karte ho Ya Phir Apka Blog,Website,Youtube Channel etc. hai to Apko Bhi Facebook Page Jarrur banana chahiye.Facebook Page Apke Business ka Brand hai Jiski Vajah se Apki Value Badhegi,Jyada se Jyada Log Janenge apke Baare me.To Chalo Dosto Aapko Fb Brand Page ke Baare me Vistaar se Batata hu. 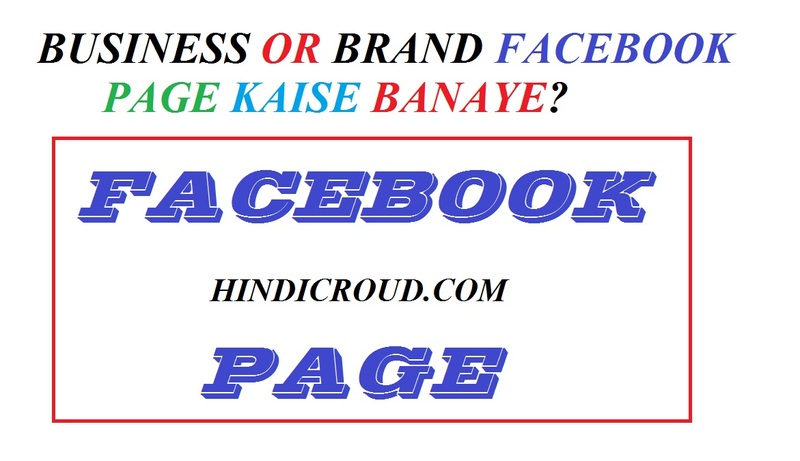 Fb Page facebook ka Ek Brand Aur Business Page hota hai.Jishpar Aap Apne Business,Company,Product,Website etc. 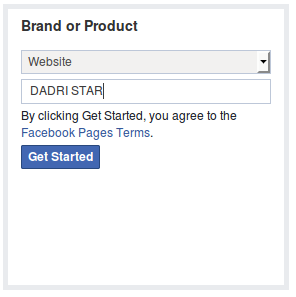 ke liye ek Personal Page Bana sakte ho Facebook par Aur Apni Company,Website,Product ko Promote bhi kar sakte ho. Dosto Agar Apka Koi Online Aur Offline Business hai To Aapko Fb Page Jarrur Banana Chahiye.Online Business me Apki Website,Youtube Channel,Blog etc. Aate hai,Aur Offline Business me Apki Company , School, College, Store, Shop,Product etc. Aate hai.Facebook Business Page Apke Business ko Brand Bana Sakta hai,Aur Jyada se Jyada Log Janenge Apke Business ke Baare me. 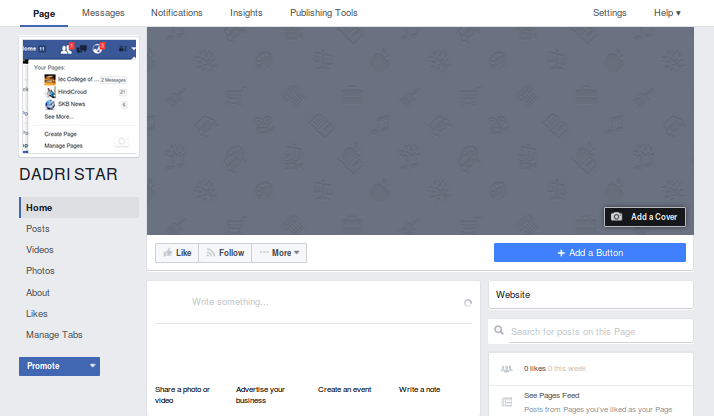 (i)Facebook Page Banakar Aap Apne Online Aur Offline Business ko Brand Bana Sakte ho. (ii)Aap Celebrities ki Tarah Apne Aap ko Bhi Promote kar sakte ho facebook par. (iii)Facebook par Jaise-2 Apke Fb Page ke Likes Badhenge Aise hi Apke Brand ki Value Hogi. Read-fb account ko fb page me kaise convert karey? Ji haa,Facebook Page Ekdum Free hai Aap Fb page Free me Bana Sakte hai Aur Ush par Aap Apne Business ko Promote kar sakte ho.Dosto Agar Aap Apne Business,Company,Website ko Jyada se Jyada logo tak Pahuchana Chahte ho fb ki help se Tab Aapko Kuch Money Pay Karni hogi Facebook ko.Aur Agar Aap Apne Page ko Facebook ke Through Promote Nahi Karana Chahte ho To Apko Koi Pay karne ki Jarurat nahi hai.Aap khud bhi Apne Business ,Website, Company,Product Etc. ko Fb par Different-2 Jagah Promote kar sakte ho. Agar Aap Fb Page Banana Chahte ho To Sabse Pahle Apke Paas Fb Account Hona Chahiye.Mujhe Pata hai Aap Sabhi ke Paas Apna Facebook Account Hoga Aap sabhi Use bhi karte honge Uska Friends Banane,Chatting,Images Upload Karne ke liye.Agar Aapke Paas Facebook account nahi hai to Koi Baat nahi Aap Ush Link par Click karey Jo Niche Di hui hai. 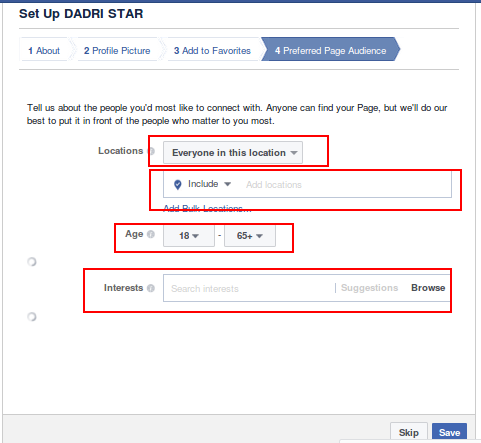 Step 1:-Sabse Pahle Aap WWW.FACEBOOK.COM par Jaaye Aur Apna Facebook Account Login Karey. Step 3:-ab Apke Samne Fb Page Catagories Open Hokar Aayi hai Inme Se Aap Catagory Choose karey Aap kisse related Facebook page banana chahte ho. Local Business or Place:-Agar Aap Koi Small Firm,Restaurent Chalate ho to Ish par Click karey Aur Entries Fill Karey. Company,Organization or Institution:-Agar Aapka Koi college, School, Organization hai to Ish par Click karke Entries Fill Kijiye. Brand or Product:-Agar Aap Kisi Brand Ya Phir kisi Product,Website,Blog,Youtube Channel etc. 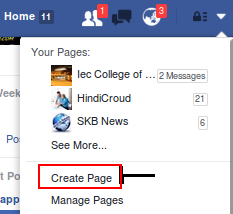 ka Page banana Chahte ho to Ish par Click karke Kuch Entries Fill karey. Artist,Band or Public Figure:-Agar Aap Celebrities hai ,Singer hai,Ya phir Koi Famous Hasti hai to Aap Ish par Click karke Kuch Entries Fill kariye. Entrainment:-Agar Aapki koi Movie hai,Serial hai,Comedy Episodes hai Ya phir songs hai to Uske Liye Ish Catagory par Click karey Aur Kuch Entries Fill karke Proceed kijiye. Cause or Community:-Ish Catagory me Hum Kisi Specific Topic par page banate hai.Aap Agar Aisa page Banana Chahte ho to ish par Click karke kuch Entries fill karey. Dosto Chalo In Catagory me se Hum Brand or Product Catagory ko Le lete hai Aur Fb page Banate hai. Step 1:-Brand or Product page banane ke liye ish par click karey. Step 2:-Ab agar aap Website or Blog ke liye Fb page Banana Chahte ho to Website Choose kar le Catagory me,Ab Subcatagory me Ush page ka name daal de jo aap banana Chahte ho. Step 3:-Ab "Get Started" par Click karey. 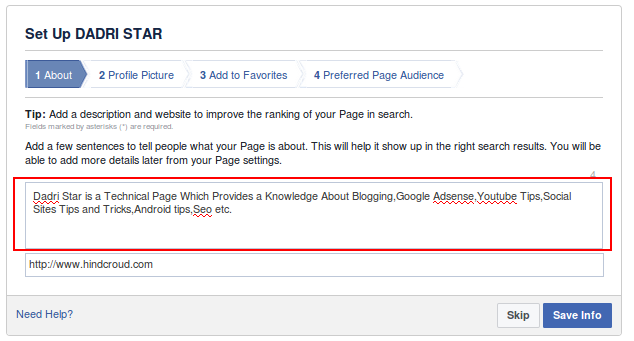 Step 5:-Ab "Save Info" par click karey. 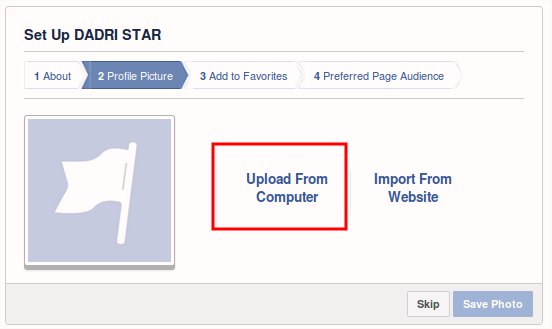 Step 6:-Ab Fb page "Profile Picture" me Page ke Liye Image Upload kijiye Apne Computer me se.Aap Apni Website se bhi Import kar sakte hai. 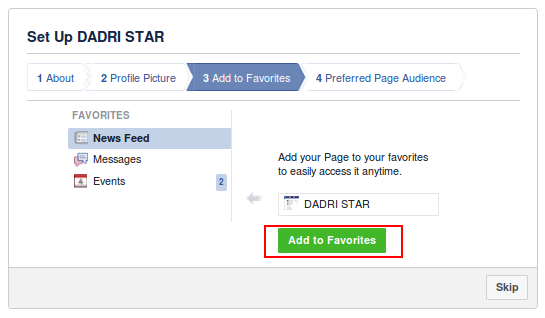 Step 8:-Ab "Add to Favorites" me Ish page ko Apna Favorite bana sakte ho. 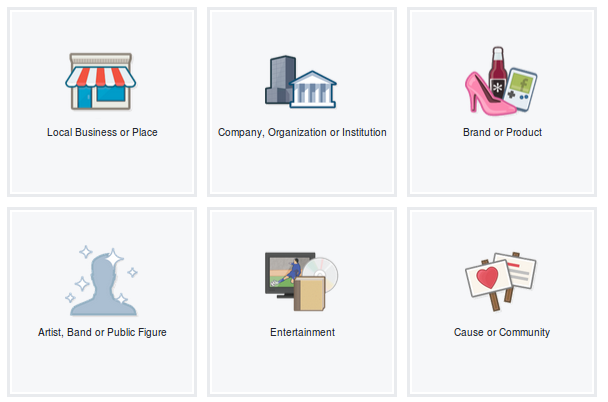 Step 10:-Ab aapke Samne "Preferred Page Audience" Open hokar aati hai Isme Aap Targeted Audience ki "Location","Age" Aur Target Audience Interests topic choose kar sakte hai. Step 11:-Ab "Save" par Click karo. Step 12:-Save par Click karne ke Baad Apke Samne ek page Open Hokar Aayega Jo apke Business ka Fb Brand Page hai Usme Aap Cover photo set kar sakte ho. Dosto Ummid hai Aap sabhi ko Aaj ka Yeh Article Facebook Business Page Kaise banate hai(How To Create Facebook Business Page), pasand aaya hoga,agara apka koi doubt or Questions hai Ish Article se related to aap niche comment kar sakte hai mai Apke Doubt ko Clear karne ki apni taraph se puri koshish karunga.Agar apko yeh article achha laga ho to isko apne dosto ke bhi sath fb,twitter,linkedin etc. social site par bhi share karey. Read- Facebook page/Fan/Like Box ko Blogger(Blogspot) me kaise Add karey?